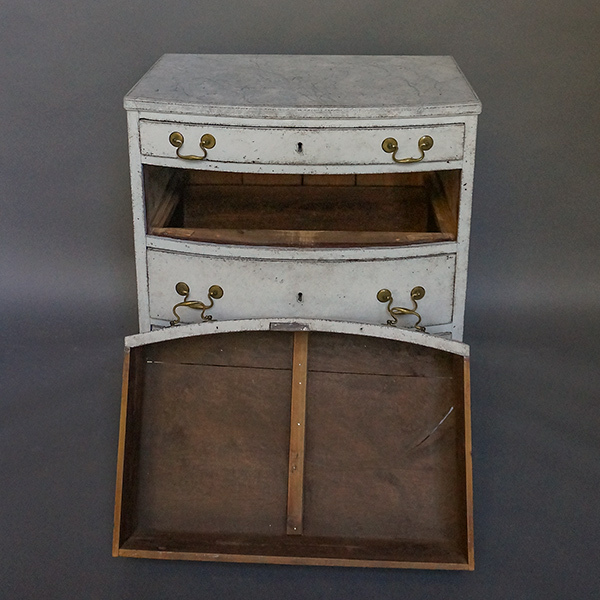 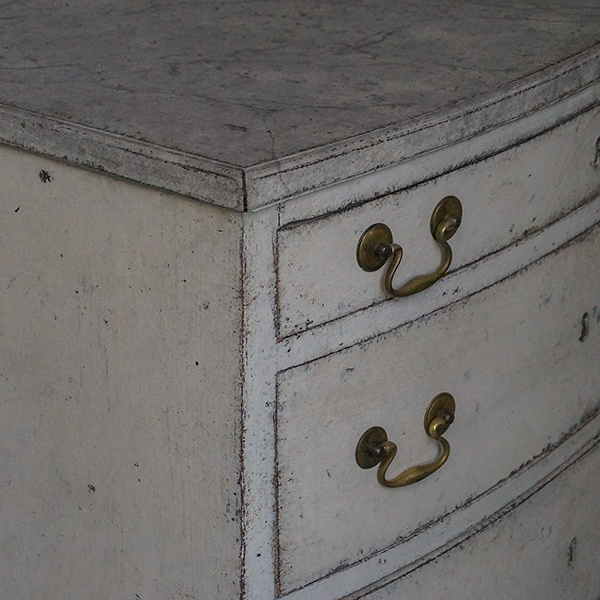 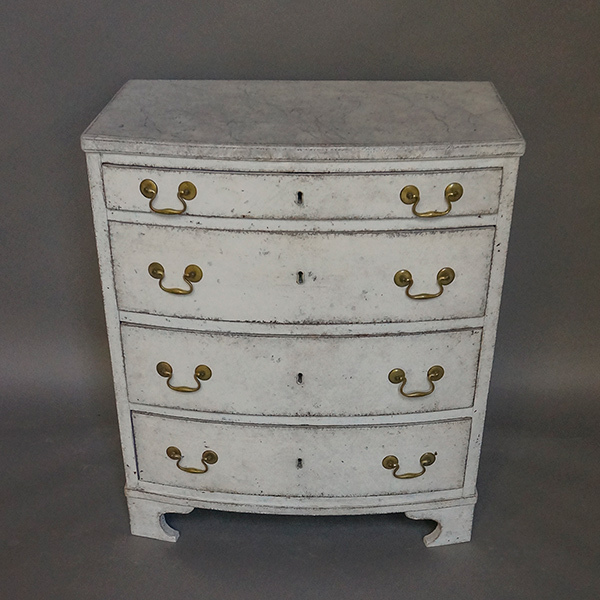 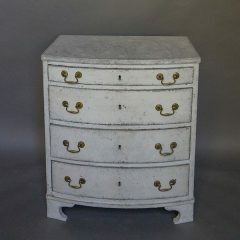 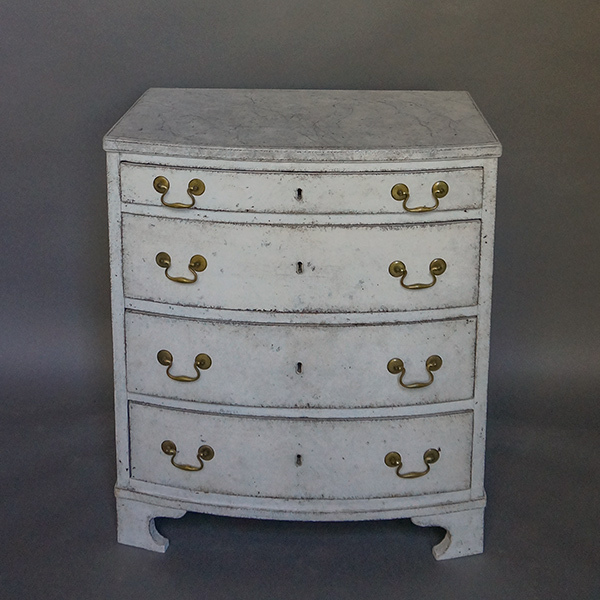 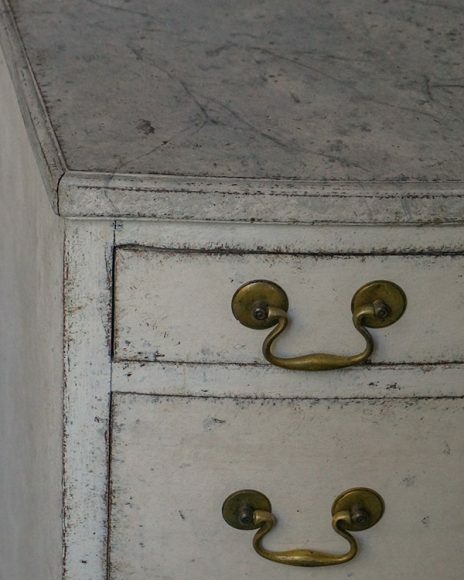 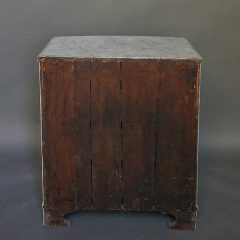 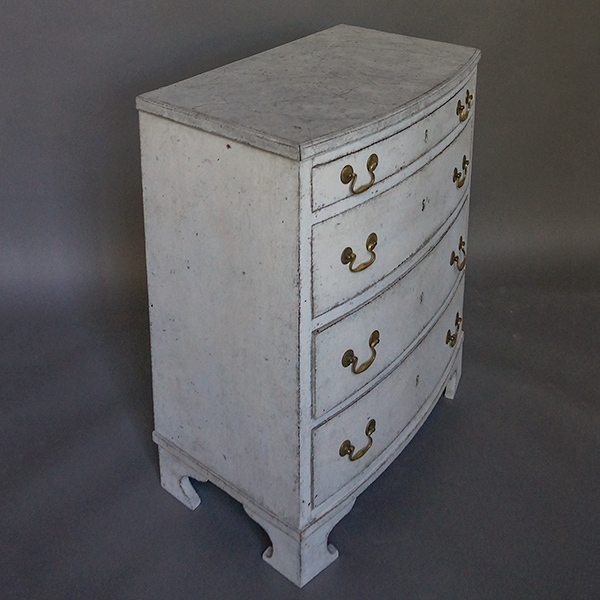 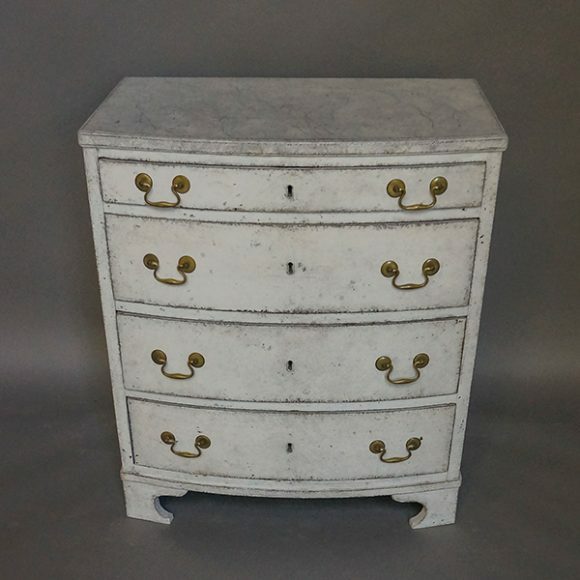 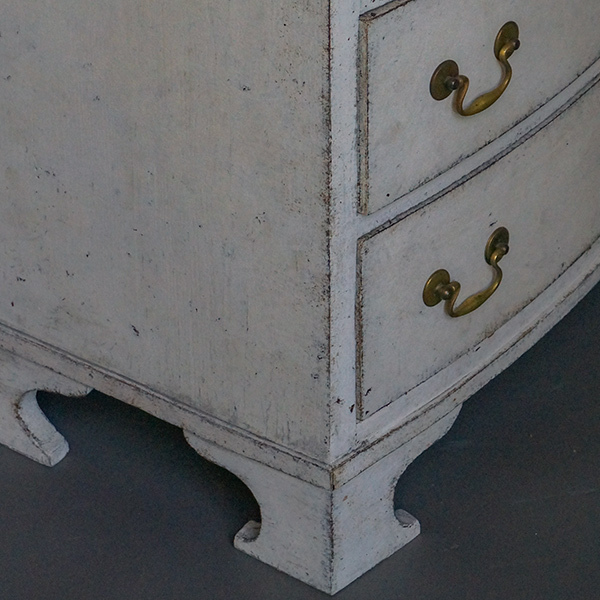 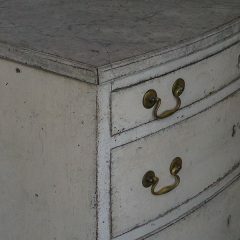 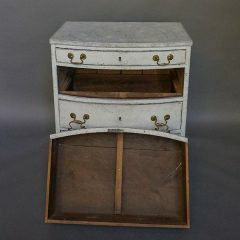 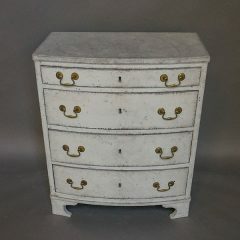 Swedish chest of drawers, circa 1810, with curved form and gray marbled top and shaped bracket base. 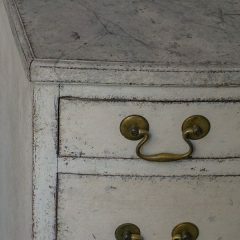 The four drawers retain their original locks. Small size makes this piece useful in many situations.